In an effort to try and improve website speed, we upgraded website hosting from a simple shared hosting server to a virtual dedicated server. We mostly made this change to increase reliability…speed was just going to be a small side benefit. It’s easy to overlook the impact of website speed on search rankings, but situations like this remind us that the “little stuff” matters. While the blog we were managing was already speed optimized – we were using consolidated and minified CSS and JS, serving optimized images via lazy loading, etc. – switching to a more powerful host improved server response times about 0.15 seconds. This tiny increase in responsiveness lead to a noticeable increase in search traffic from Bing and Google almost immediately after switching hosts. 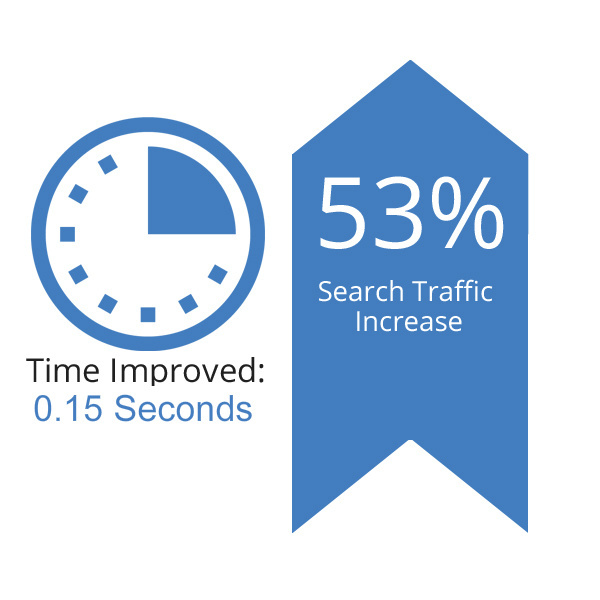 Slow load speeds could be preventing you from getting more search traffic.